Indie publishing and self-publishing are two very different components of the industry. Although they are often combined together, they shouldn’t be mixed up at all. Indie publishing offers more of the traditional publishing experience, while self-publishing puts everything onto the shoulders of the writers themselves. Indie publishing makes up about 50% of the total book publishing industry, so considering a small press can be a great idea for a first-time writer. If you’re thinking about what you should do with your manuscript, then let’s look at the differences in the indie publishing vs self-publishing debate. #1. Indie publishing gives you choices for everything. Self-publishing also gives you choices when you’re working on the actual publication component of a manuscript. The difference is that indie publishing lets you choose the items you want for your marketing efforts as well. Instead of being stuck with a marketing package that can cost thousands and you not having any say it what you receive, you get to have control over aspect of the process from publication to sale. #2. Indie publishing offers higher royalties in most cases. Self-publishing contracts often limit royalties to 10% or less because they’re offering you a print-on-demand service. They’re taking their cut off the top, and since the cost of goods sold is typically fairly high, you’re making just above what authors at a regular publisher will earn, but without an advance. Indie publishers can offer royalties that are up to 70% on some projects. #3. Your initial costs may be higher with indie publishing. The fact that you have numerous choices is also a disadvantage when it comes to indie publishing. You don’t have to purchase marketing packages from self-publishing houses. You don’t have to choose distribution channels. Both avenues will typically require you to hire an editor, but some self-publishing companies have internal graphic designers that are included in the cost of the book contract that indie publishing may not offer. Make sure that you look at every cost if your budget is tight to determine what is the right option for you to choose. #4. There are reputation issues to consider for both publishing options. Self-published authors are typically treated with high levels of skepticism. Readers and critics may look at their work and question everything. One error can be enough to cause a negative impression to be left that can ruin the author/reader relationship for good. Indie publishing also has this issue, but to a lesser extent because the author may have more overall input on the final outcomes being receive. #5. Traditional publishing has a lot of negative influence on self-publishing. In July 2015, one of the Big 5 publishing houses instructed their authors that they should not endorse any print-on-demand books. 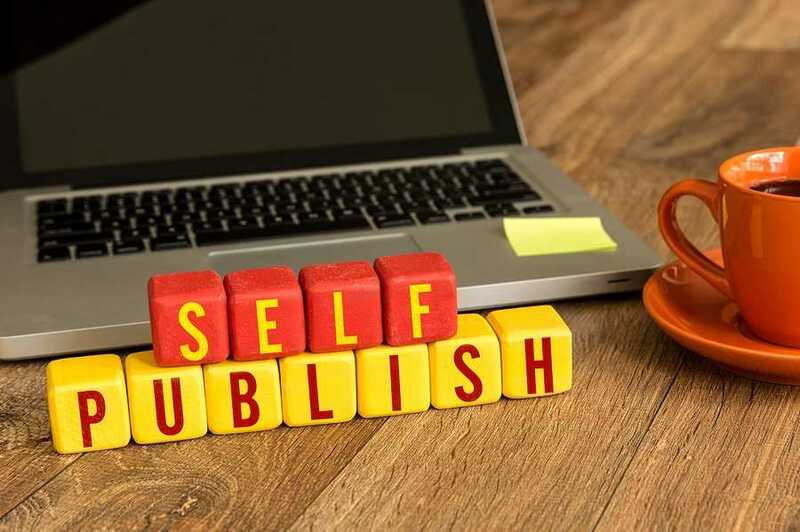 Yet if you can find success in self-publishing, a traditional publisher will have no problem taking up a contract with you to further that success. This type of attitude toward self-publishing isn’t always the same as it is toward indie publishing, but it can be a problem for authors in either area when they’re trying to create a long-term publishing career. #6. Indie publishing lets you get wholesale distribution. Self-publishing also allows you to get wholesale distribution to Ingram so you can get into bookstores, but it may come at an extra cost. This is because bookstores wish to have a return policy in place should the book be unable to sell for some reason. Indie publishing makes this process a lot easier, while you still get to keep all your rights and control the content of the book. #7. You’ve got to pay for just about everything in the setup process. You’ll need to purchase your ISBN for each book format in most cases. You’ll need to purchase a copyright if you want that. Every component of the publishing setup process typically becomes the responsibility of the author. Indie publishers may be able to get you a discount on this process. Outskirts Press, for example, charges 20% less for an ISBN because they’ve already purchased a block.